Sacandaga Station is in the town of Northampton, NY, in the southern region of the 6 million acres Adirondack Park. It is in the hamlet of Sacandaga Park, a cottage community and famous summer resort in the early 1900’s. Its main attractions now are the location inside the Adirondack Park and along the pristine Great Sacandaga Lake. 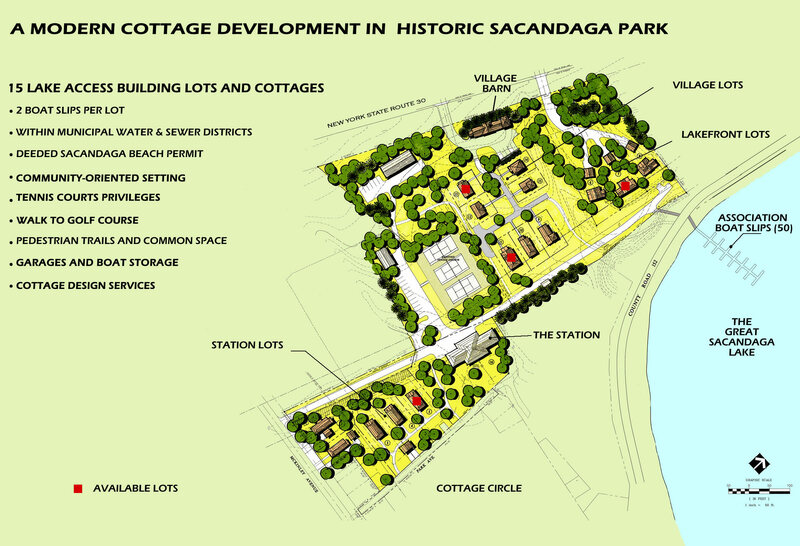 Sacandaga Station consists of fifteen building lots spread over 10 wooded acres. Five lots are adjacent to the historic Cottage Circle, seven lots are in a village setting and three lots are along the lake. All lots share a common boat dock and wooded areas surrounding the lots. The National Register listed Station building is at the center of the community.